I had the pleasure last evening to sit in on a discussion among researchers who have been exploring the Knife Lake Siltstone quarries in the Boundary Waters Canoe Area (BWCA) of Northern Minnesota. 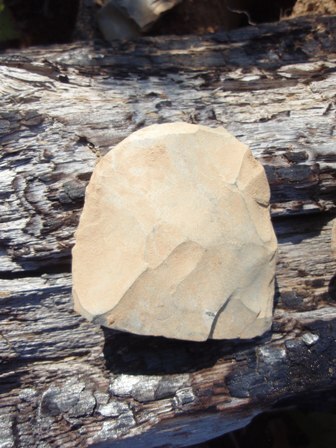 While siltstone has been recognized by archaeologists as a distinct lithic material for a number of years, with a bedrock source of the material on Knife Lake, the extent of the quarrying activities at that location by early peoples has only recently been discovered. The outcrops of siltstone straddle the international border and it was Canadian archaeologists who first identified siltstone quarry sites. A forest fire several years ago in the BWCA cleared the dense vegetation on the Minnesota side and exposed extensive quarry and workshop areas. The remoteness of the area has served to protect the sites, but also hinders the research of this unique cultural resource. The local is being studied by archaeologists from a couple of State Universities and the U.S. Forest Service. The basic geology of siltstone formation is understood, but due to the complex nature of the geology in the area archaeologists are still trying to track the extent of the deposits of tool grade siltstone. Because this is a wilderness area only small groups of researchers are allowed in for short periods of time and they need to carry everything needed in and out with them. Limited excavations are trying to answer basic questions. Such as, when were people here? What was the population size and how long did they stay? 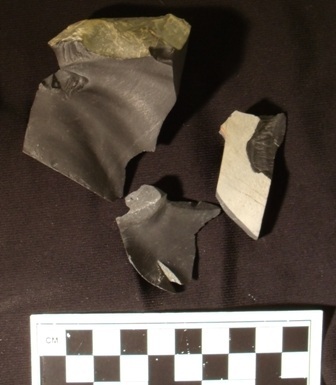 What sort of tools were they making from this material and how far afield were those artifacts traded? 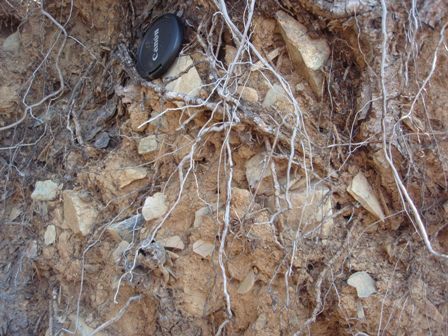 Researchers have been hampered by the thin soils of the region which have been mixed and disturbed by natural process such as tree tips turning the soil and mixing artifacts. The lack of deep soils hinders the development of an uncomplicated site stratigraphy which would allow researchers to tease out a sequence of events or occupations at these sites based on the relative positions of the artifacts they recover. Site interpretation is also hindered by a lack of diagnostic artifacts. Some initial thoughts are that it appears people were here very early. An examination of the kind of debitage produced on the sites suggests late Paleo-Indian or early Archaic flintknapping strategies. The formation of a patina over some of the knapped/worked surfaces also suggests some antiquity to the artifacts. It was the very white patina on the outcrops that made them highly visible after the forest fire which in turn attracted the attention of researchers. However at this point researchers do not know how long it takes a patina to develop on siltstone or what causes its formation. Siltstone is also found as cobbles in the glacial till in Minnesota. Is the glacial material derived from the Knife Lake outcrops or are there other, as of yet unknown, siltstone sources? 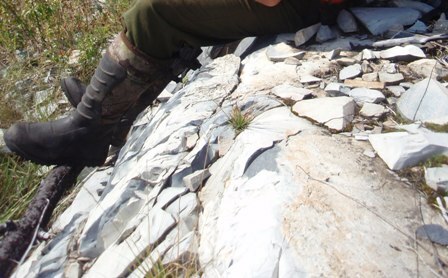 There is a variation in the color and texture of siltstone found in the Knife Lake outcrops. 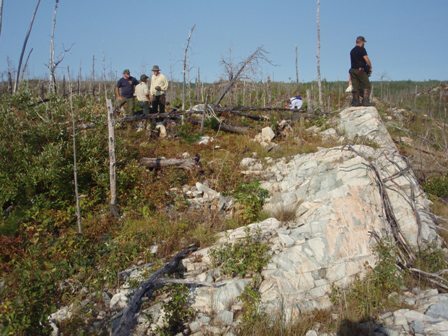 Researchers are still scouring the wilderness terrain collecting samples of material from various outcrops in the Knife Lake area to determine the range of siltstone variability in that vicinity. They will eventually be able to compare the bedrock derived samples to siltstone found in the glacial till to determine possible sources for the till materials. 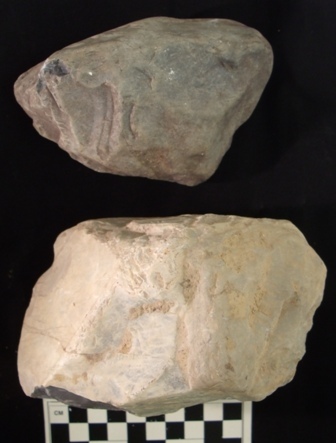 It will also allow them to determine if siltstone artifacts from outside region are made from stone acquired at Knife Lake quarries or from till sources. 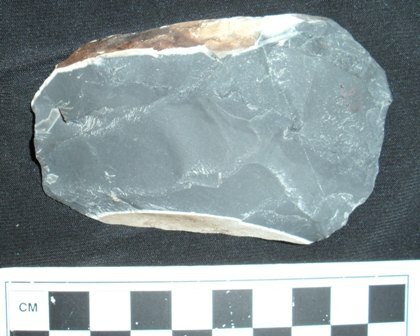 A couple of decades ago archaeologists discovered a workshop site, 200 hundred miles south of Knife Lake, where people had been making stone tools from glacially derived siltstone cobbles and boulders pulled from the nearby stream bed. The Bradbury Brook site (21ML0042) was dated to 9200 years BP. Researchers are enthusiastic about trying to understand the nature of these large quarry sites and regional siltstone distribution. It can be both fun and challenging to get in on the ground floor of a new discovery which raises some very basic questions about our Minnesota Prehistory. Look for updates on the work being done on Knife Lake in the years ahead. Good overview. It would be interesting to find out if the Bradbury Brook mudrocks originated from the Knife Lake Group or some other Precambrian sedimentary body further west (or NW). I attended a lecture a few days ago in St. Cloud presented by Professor Mark Muniz of SCSU describing his study of the Knife Lake Siltstone quarries. It was very well received by the mostly older audience numbering 40-50 men and women. I paddled much of the BWCAW in years past with no inkling of the secrets buried there!